This type of machine is specially used for sorting of rice. The number of Rice Mills has increased drastically, in India and around the world, in the past few years. With increase and expantion in Rice Mills, there is an increase in the production of Rice. 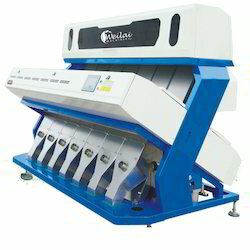 Our Rice color sorter is used for sorting black, Yellow and chalky rice. In this machine we used monochromatic camera for image processing. . 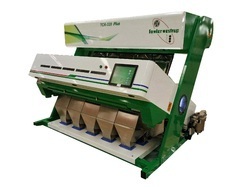 Seed Color Sorter We are among the leading manufacturer, supplier of wide range of Seed Color Sorter . These machines are highly efficient and long lasting. Our offered products are made with fine quality raw material under the supervision of expert professionals. They are easy to install and operate.